Gloria Auth, founder and director of Protocol Plus, helps people raise their professional image so they have confidence in any social or business setting. Gloria teaches life skills to people who want to know what to do, when to do it, and how to do it. Executives, students, and professionals at all levels learn vital skills to avoid social blunders and make favorable impressions in any environment. Protocol Plus is committed to providing you with the knowledge and skills necessary to make favorable impressions in business and social settings. 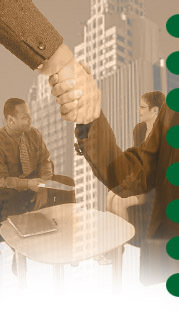 Our focus is on "people skills" through communication, etiquette, and protocol training. Protocol Plus will raise your comfort and confidence level for optimal success in any environment. Fast paced, interactive seminars and individual coaching are offered in Corporate and Social Etiquette, World-Class Dining, Techno-Etiquette and International Protocol. Customized training is designed to educate, motivate, entertain, and meet the needs of today's hectic lifestyles. Gloria is the former Director of the Master of Business Administration Program at the University of Central Oklahoma. She served UCO for 22 years, helping students from around the world achieve their educational and professional goals. Gloria sponsored the students of UCO Toastmasters International for over ten years and was voted Sponsor of the Year. Gloria's late husband was an Air Force Officer and pilot, affording her over 20 years of first hand experience in military and international protocol. It was during these Air Force years she gained an appreciation for the importance of etiquette and protocol. Gloria has three grown sons, who tell her they are glad she is in business doing what comes naturally - teaching people the "Rules of the Game." They are also relieved that family gatherings now include grandchildren who are the new generation target of the rules of civility and appropriate behavior. Gloria is a graduate of The Protocol School of Washington. She has a Bachelor's of Business Administration Degree in Marketing and a Master of Business Administration Degree from the University of Central Oklahoma. Gloria is also a Professional Certified Coach from the International Coach Federation, the International Association of Coaches, and CoachVille, where she teaches coaching proficiencies to those seeking certification.